It’s always interesting (at least to me) how the fantasy football seasons change from year to year. I seem to recall that about this time last year, I was trying to figure out tie-breaker options in the event of a five-way tie for the final three playoff spots. This week, though, Stoner joined T.J., Chuck and me by getting a golden ticket to the playoffs. There we go. Two weeks left in the season and two-thirds of the playoff spots are filled. It feels weird. It shouldn’t be this easy. My friends, of course, don’t have this sense of unease. They’re largely concerned with their own bitterness. Mike and Carol, in particular. They tend to spend our weekly football gatherings staring at their phones and muttering, to one in particular, “Motherf**ker.” (Though I’m beginning to suspect it’s directed at me.) What’s worse, this isn’t a late season development. They’ve been doing this since about Week 2. I find myself anxious to get to the end of the season, so we can all go back to being friends. Although, for once, maybe I’m being too optimistic. And other decisions Rob Corrdry is rethinking. Contrary to last week’s discussion of teams whose lineups indicate they should NOT be dominating the league, I present to you the Curious Case of Our Defending Champion. At various times this season, Jack’s had Matt Ryan, Cam Newton, Todd Gurley, Doug Martin, Julio Jones, Stefon Diggs, Dalvin Cook, Latavius Murray, Michael Crabtree and the Vikings’ D in his lineup. No, it’s not going to make you forget the 1970’s Pittsburgh Steelers, but it’s a lineup that should yield a hell of a lot better than a 3-8 record. His latest brutal defeat was a 33-32 gonad-booting from Carol (who’s booted a gonad or two in her time.) Barring a complete miracle, Jack will not be making the playoffs. This is a shame, not only because he won’t be given the opportunity to defend his championship. But because his team is better than this. Bills’ head coach Sean McDermott entered the Coaching Like You Have An Open Wound Hall of Fame this past week when he decided to bench Bills QB Tyrod Taylor…just…because…and go with his backup, Nathan Peterman, most recently serving as the Towel Boy. Peterman took advantage of the opportunity by standing in the pocket and coolly throwing the ball to every damn Los Angeles Charger he could find. You think I’m kidding? Peterman completed 11 passes. FIVE of those were to the other team. And this was before HALFTIME. Shockingly, Peterman’s services were not needed in the second half. It took some looking, folks, but we finally found him. The guy who makes Dan Orlovsky look like Joe Montana. Shockingly, it’s not a Cincinnati Bengal this week. But we had to go to the college ranks to find this week’s “winner”. The Oklahoma Sooners QB took the high road when the Kansas Jayhawks wouldn’t shake his hand during the coin toss. After tossing his 43rd TD pass of the day, Mayfield pointed at the Jayhawks’ bench, grabbed his crotch and screamed, “F**k you!” He repeated the statement later and added, “Stick to basketball!” At no point did the words, “You stay classy, San Diego!” pass his lips. To his credit, Mayfield later apologized for his actions, just as he apologized earlier this season for planting the OU flag in the middle of Ohio State’s field. At a point, though, you wish Mayfield would have the intelligence to not do this crap in the first place. Oklahoma, at least, gave Mayfield a pretty good wrist-slapping, saying he would not start the next game and would not captain the team for senior night. When announcing the punishment, Oklahoma HC Lincoln Riley got choked up. The whole thing reminds me of the old Kids in the Hall sketch about Skoora, the Gentle Shark. Yes, he would chomp off your body parts, but he always seemed to feel bad about it. I’m sure Mayfield will learn his lesson before he gets to the NFL. After all, that stuff doesn’t fly in THIS league, right? As could be expected, some of my Vikings’ fan friends (particularly Robbie) are getting rather chesty at the moment. A 7-2 start and near-complete command of the NFC North will do that to you. For reasons I won’t repeat again, I refuse to root for the team as long as it employs a virulent, unrepentant (don’t let the forced apology fool you) homophobe as their special teams coach. While I try to maintain a Swiss-like neutrality to my view of the league, I can’t help getting annoyed and having the traditional “Well, they haven’t beaten anybody” thoughts about any team that’s suddenly competitive. And, of course, these are always followed by, “Well, who IS anybody?” Welcome to the NFL in 2017.
Who the hell is anybody anymore? That question verges a little more on philosophical BS than I’d like, but it gets to the heart of the matter. In an era of sustained parity (some would say mediocrity), what constitutes a quality win anymore? Looking at last year’s NFC playoff teams, you get the same feeling of fraudulence. Sure, you can try to let a few teams off the hook. The Packers lost Aaron Rodgers. The Giants lost Odell Beckham Jr. The Cowboys lost Ezekiel Elliott. But that’s a little deceiving. The Cowboys were barely above .500 BEFORE the Elliott suspension was finally enforced. The Giants were not impressive before OBJ went down with a broken ankle. Only the Packers seem gutted by the loss of Aaron Rodgers. The Seahawks will likely follow a similar pattern with the losses of Richard Sherman and Kam Chancellor. The Lions (a mediocre team with a great QB) are the only playoff team to hold course from last year. And all of the turnover in the conference can’t be easily explained. 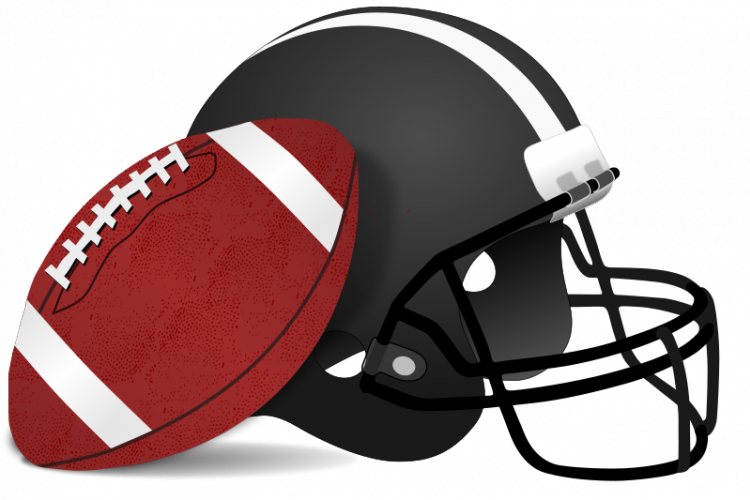 Of the teams we’ve discussed, only the Rams (new head coach, young and developing team) have made fundamental changes. So who do you have to beat to get some love in this league? But that’s the era we live in. My father will, with absolutely no apparent provocation, extol the virtues of the 70’s era rivalry between the Steelers and the Cowboys and talk about the number of Hall of Famers on both teams. He will fondly reminisce about the 80’s era San Francisco 49ers, even as he talks about what an insufferable SOB Bill Walsh was (God rest his soul…no, he actually always says that. It’s like his Speak-Ill-Of-The-Dead Get-Out-Of-Jail-Free card.) Clearly, the new era does not similarly inspire him. Yes, he’s an admirer of Bill Bellichick’s, but is quick to point out that the Patriots have never been particularly impressive. They’ve simply been the least mediocre team every year they’ve won the Super Bowl. And that’s endemic of the entire league. The last Super Bowl winner I can remember being truly impressive were the 1996 Green Bay Packers (and that kind of kills me to admit.) And even there, we have a few asterisks. The Packers did not complete their run to the title with a dominant victory. (Even into the 4th quarter, it looked like the Patriots had a shot.) And for a young team that looked poised to dominate for years, they regressed to the mean awfully quickly. They were upended by the Broncos in the following season’s Super Bowl. After that, they were largely just another decent NFC team. Since then, we’ve gotten Super Bowl winners that were dominant on one side of the ball, but largely incompetent on the other (the 1999 Rams, the 2001 Ravens, the 2009 Saints), teams that were competent all-around, but didn’t leave you singing paeans to their greatness (the 1998 Broncos, any of the Patriots winners, either of the Giants winners), and teams that no one, for the life of them, can figure out how the hell they won (the 2002 Buccaneers, the 2012 Ravens). In some ways, this isn’t a bad thing. Free agency allows the players a little more movement and a chance to make money rather than be indentured servants to the teams that drafted them. Now, they can simply wait until they’re one season past their peak value and get cut by teams looking for a cheaper, younger model. It’s like NFL Logan’s Run. It also prevents one or two teams from dominating an era while the rest of the league’s fanbases feel left out. And, as I’ve pointed out many times in the past, the Super Bowl outcome is no longer a foregone conclusion. I have a hard time imagining last season’s come-from-behind, overtime thriller happening in the 70’s, 80’s or most of the 90’s. But the drawback, of course, is that the Super Bowl winner feels less like the Undisputed Champion and more like the Last Man Standing. And it’s a much harder metric to determine just how good your team really is. The Vikings, for example, are a hard one to figure. When looking at who they’ve beaten, the Saints seem like a quality win, but that was back on week one, before the Saints got hot. Does that count for anything now? The win over the Bucs seemed like a quality win until the rest of the Bucs’ so-far-putrid season began to play out. They beat Green Bay after Anthony Barr (whoopsy-daisy) injured Aaron Rodgers early in the game. And they beat a 4-6 Washington team that likely won’t make the playoffs. The Rams would seem a quality win until you ask, “Who the hell have the Rams beaten?” Looking at the Rams schedule, there’s a chance that two teams they’ve beaten (the Jags and the Texans) might make the playoffs. But in all likelihood, it’s only going to be one of them. If that. So we’re left with this insecurity of wondering if our potential playoff teams are really all that good. When the playoffs come around, we wonder if these REALLY are the best 12 teams in the league. Is your Super Bowl winner really the best we have to offer? Or were they simply the team that scored the most wins above mediocrity? World Champion via the Peter Principle. The NFL, ladies and gentleman! 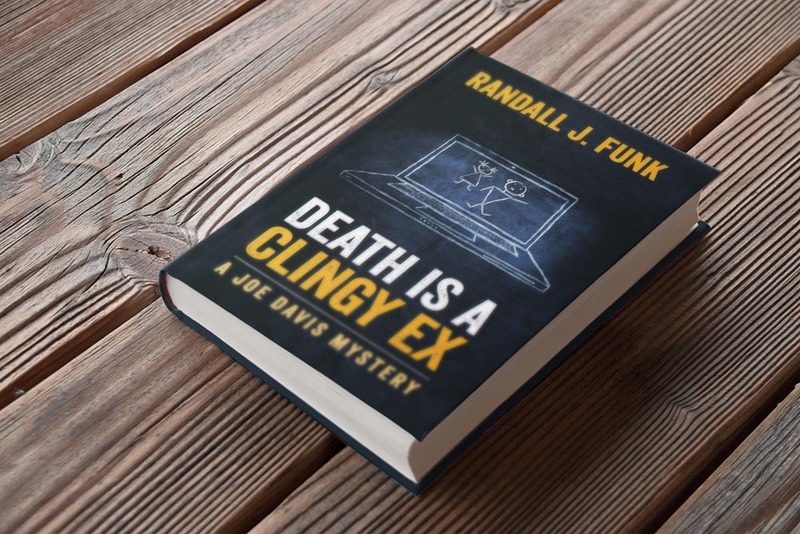 JOE DAVIS is the main character in a series of mystery novels by Randall J. Funk. Mr. Davis and Mr. Funk are delighted by the shocking similarities in their opinions and writing styles.